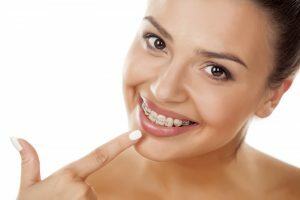 Many people think getting braces is something you do for cosmetic reasons — that your smile will be prettier after you straighten out crooked teeth. While that’s certainly true, a bad bite affects more than just the appearance of your smile. Gapped, crowded, and other dental misalignments can actually affect your oral and overall health, too. Your dentist in Bonita Springs offers Invisalign and Smart Moves to help. Keep reading to find out more about why you need orthodontic treatment and which one might be right for you! Teeth may be crooked due to a number of reasons — maybe you were born with a small jaw and there wasn’t enough room for your permanent teeth to erupt smoothly. Or perhaps you had braces as a teen but didn’t keep up with your retainers and you’ve noticed your teeth shifting out of alignment over the years. Whatever caused your misalignment, finding a solution is important for your oral and overall health. When your upper and lower jaw do not fit together properly — like if you have an overbite, underbite, or crossbite — your mouth has to make small adjustments every time you close it. You are also more likely to grind your teeth or clench your jaw at night with a bad bite. Over time, the additional strain and pressure of these slight movements really add up to a lot of strain on your TMJ. Temporomandibular joint dysfunction, TMD, causes a clicking, popping, jaw, chronic discomfort, headaches/migraines, and other painful side effects. Correcting the bite can provide relief for TMJ pain. People whose teeth do not line up properly are also at a higher risk of experiencing oral health issues like tooth decay and gum disease. Tooth crowding places you at an especially high risk of both, as crowded teeth are difficult to brush and floss properly. Plaque and tartar buildup occur as a result. Gapped teeth may drift out of alignment, or trap larger food particles. Your teeth may also become weak or worn due to teeth grinding and jaw clenching. Most adults want a solution for straighter teeth that isn’t as visible as conventional metal braces. Our team offers two options: Invisalign and Smart Moves. Both solutions use clear, removable aligners that allow you to continue to speak and smile with confidence throughout your treatment. Invisalign in Bonita Springs is best for patients with more significant bite issues — especially those who have never undergone orthodontic treatment before. People who just wish to quickly shift the front of their teeth to smile more attractively can benefit from Smart Moves. When you schedule an orthodontic consultation with our team, you and your dentist will discuss your smile goals, timeline, and budget to determine the option that is best for you. Bad Bite? Talk to Us Today! If you’re dealing with the cosmetic and greater health effects of misaligned teeth, please don’t hesitate to get in touch with your cosmetic dentist in Bonita Springs. Request an appointment at Pelican Landing Dental today!